CPU: 2 x 6cm blower fan Sound Level Sound pressure (LpAm): 23.8 dB(A) System Warning Voice prompts or Buzzer Operating Temperature & Relative Humidity 0 ~ 40˚C ( 32˚F ~ 104˚F ), 5 ~ 95% RH non-condensing, wet bulb: 27˚C (80.6˚F) Security Slot Kensington security slot Note: Use only QNAP memory modules to maintain system performance and stability. For NAS devices with more than one memory slot, use QNAP modules with identical specifications. Warning: Using unsupported modules may degrade performance, cause errors, or prevent the operating system from starting. Read more about Qnap TVS-672XT-i3-8G auto tiering. 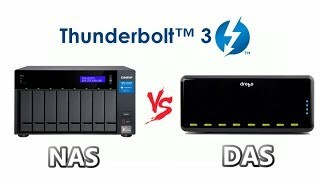 If you buy this Qnap Desktop NAS 10GbE+TB3 and hard drives we do free build and test for the unit and hard drives. So you can use this device straight out of the box. All free of charge in TVS-672XT-i3-8G price.